Parents usually punish children as a consequence for not obeying rules, disciplining them, reforming them, unacceptable behavior, or wrongdoing. The main objective of the punishment is to let the child know the difference between right and wrong. There are many types of punishment from withholding a toy, shortening playtime, grounding, and physical punishment. This form of physical punishment is generally known as corporal punishment. The term usually refers to methodically striking the offender with an implement, whether in judicial, domestic, or educational settings. Judicial corporal punishment: as part of a criminal sentence ordered by a court of law. Closely related is prison corporal punishment, ordered either directly by the prison authorities or by a visiting court. An example of this would be the court ordered punishment of caning in Singapore. An analysis of research on physical punishment of children over the past 20 years indicates that such punishment is potentially harmful to their long-term development, states an article in CMAJ (Canadian Medical Association Journal). Over the past 20 years, a growing body of research clearly indicates that children who have experienced physical punishment tend to be more aggressive toward parents, siblings, peers and, later, spouses, and are more likely to develop antisocial behaviour. "Virtually without exception, these studies found that physical punishment was associated with higher levels of aggression against parents, siblings, peers and spouses," write Dr. Joan Durrant, Department of Family Social Sciences, University of Manitoba, and Ron Ensom, Children's Hospital of Eastern Ontario. 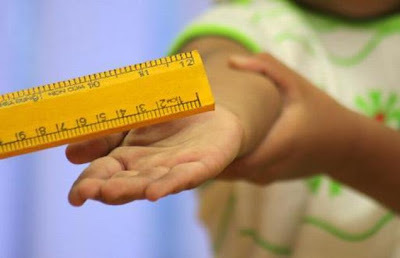 In a trial of an intervention designed to reduce difficult behaviour in children, when parents in more than 500 families were trained to reduce their use of physical punishment, the difficult behaviours in the children also declined. "Results consistently suggest that physical punishment has a direct causal effect on externalizing behaviour, whether through a reflexive response to pain, modeling or coercive family processes," write the authors. Physical punishment is also associated with a variety of mental health problems, such as depression, anxiety and use of drugs and alcohol. Physical punishment may change areas in the brain linked to performance on IQ tests and increase vulnerability to drug or alcohol dependence, as recent neuroimaging studies suggest. Attitudes toward the use of physical punishment have changed, and many countries have shifted focus to positive discipline of children and have legally abolished physical punishment. "Physicians have a primary responsibility for translating research and evidence into guidance for parents and children, and they are credible and influential voices for advancing public education and policy concerning population health," state the authors. They can educate parents on typical childhood behaviours, suggest positive disciplinary approaches, and refer patients to public health and parenting programs and other resources.